Time to start the discussion of our next novel from The Bestseller Code 100 list, 73. The Weight of Silence by Heather Gudenkauf. Summary: Two young girls, Calli and her friend Petra, go missing in the night. Now their families struggle to find out what happened to them. This is Heather Gudenkauf’s debut novel. 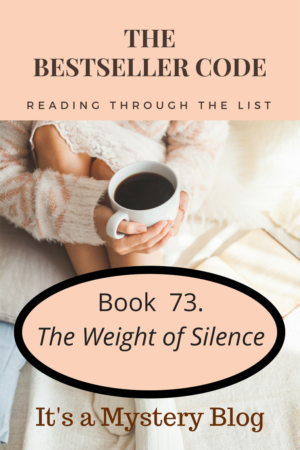 Have you read The Weight of Silence by Heather Gudenkauf? We’d love to hear your thoughts. Have you written about The Weight of Silence by Heather Gudenkauf? Feel free to add a link to your review to the comments.